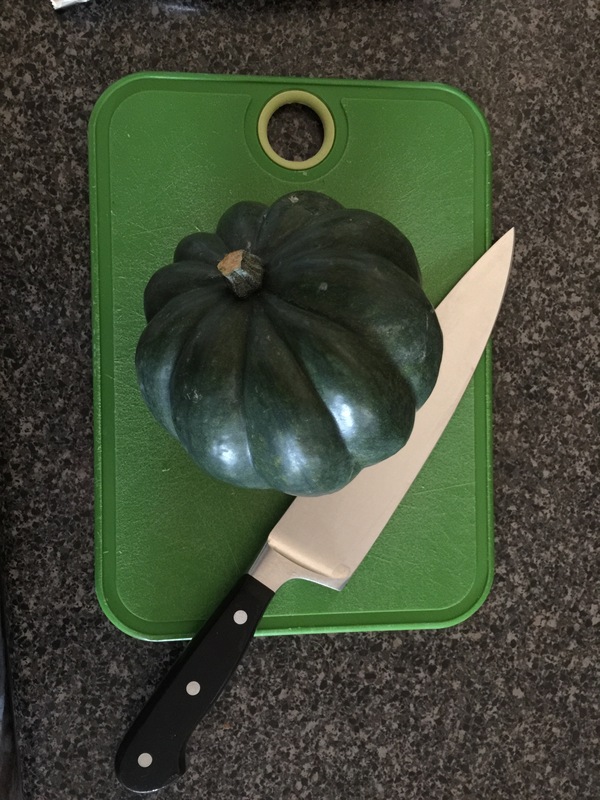 If you’re anything like me, acorn squash is probably a bit foreign. I know the first time I decided to try one, I had no idea how hard they were to cut into and that I should’ve sharpened my knife first. 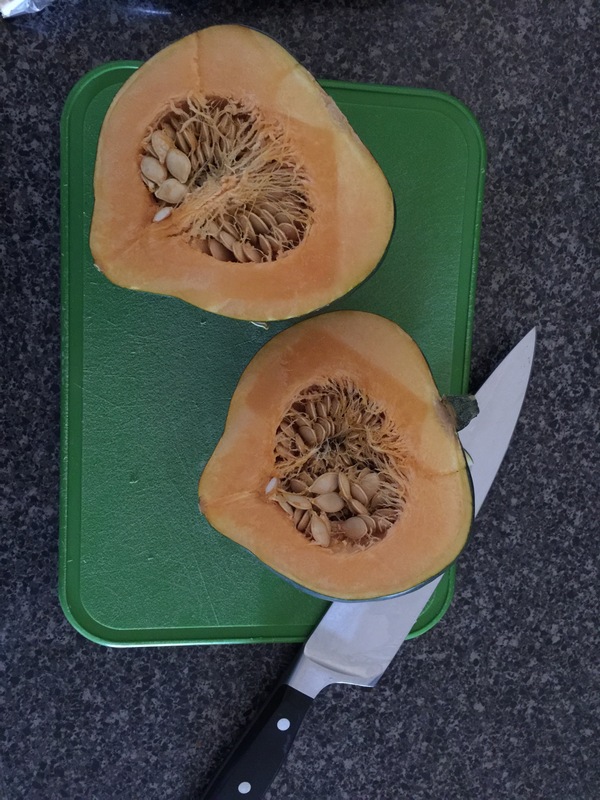 I didn’t know what it would taste like and wasn’t sure if I would like it because I know I don’t care for butternut squash. But boy, was I surprised at how delicious it was! Do you like Yukon gold potatoes? 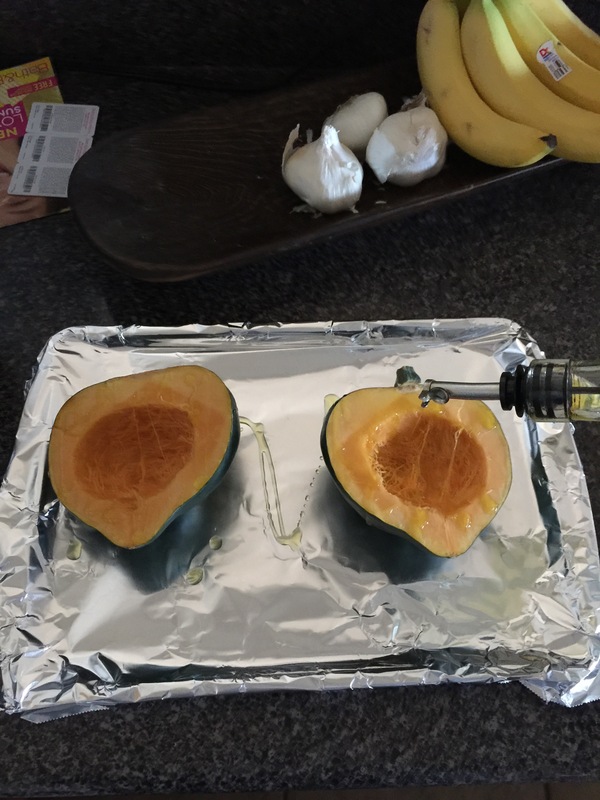 If so, you’ll love acorn squash. Do you love mashed potatoes or baked potatoes? 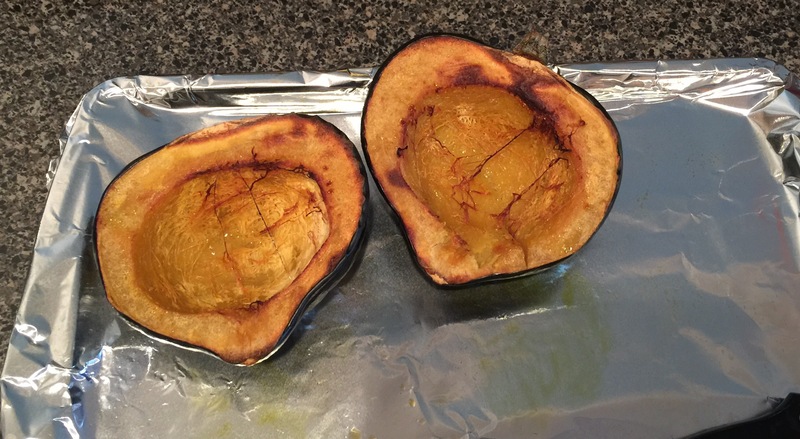 That’s how I want you to think of acorn squash. 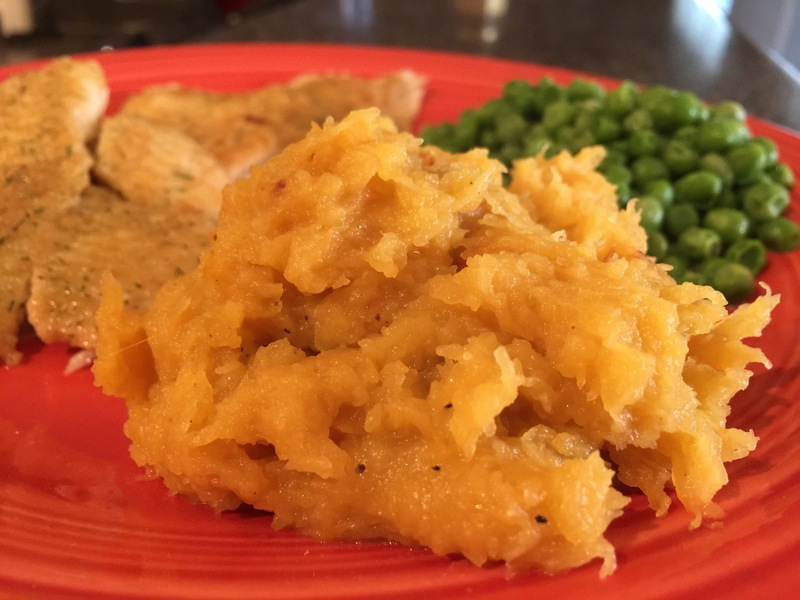 Not that horrible cauliflower substitution for mashed potatoes, but a deliciously creamy and healthy substitution for a potato obsession. 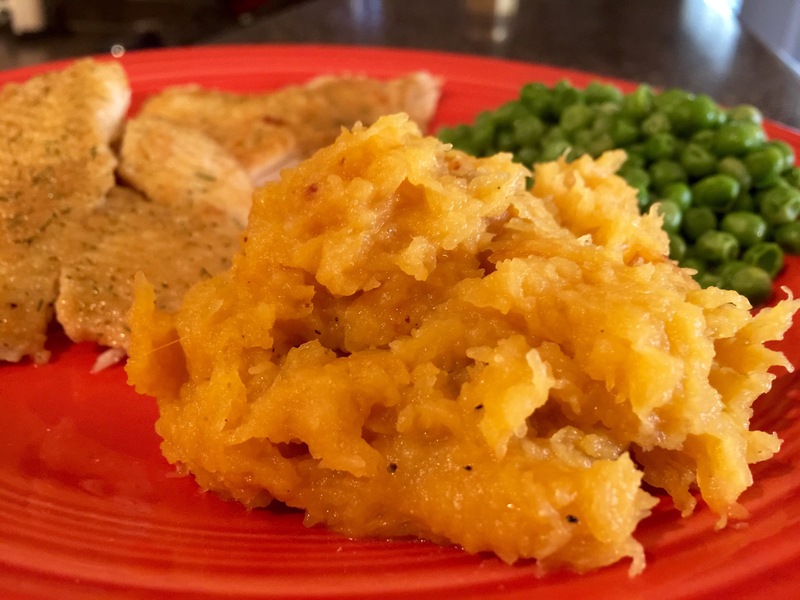 This recipe will be like healthy mashed potatoes, but feel free to change it up and serve with cheese and a little sour cream for a “baked potato” version! 1. First and most important, sharpen your biggest kitchen knife. If you have a dull knife, you won’t cut through this bad boy, trust me on that. 2. Now you’re going to scoop out the seeds. I love my grapefruit spoon for this, but a regular spoon will work too if you don’t have one. 3. Now put your acorn halves on a baking sheet and drizzle olive oil on both sides. 4. Now bake on your center rack in a 400 degree oven for about an hour. You’ll know it’s done when you can easily stick a knife in it just like a baked potato. 5. 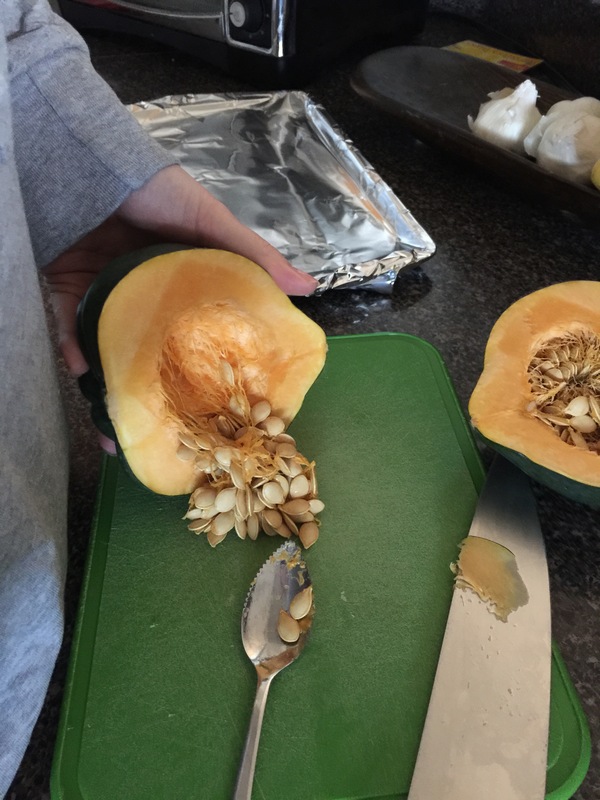 Now scoop out the inside of the squash into a mixing bowl. Add garlic salt and pepper to taste and your tablespoon of butter. 6. 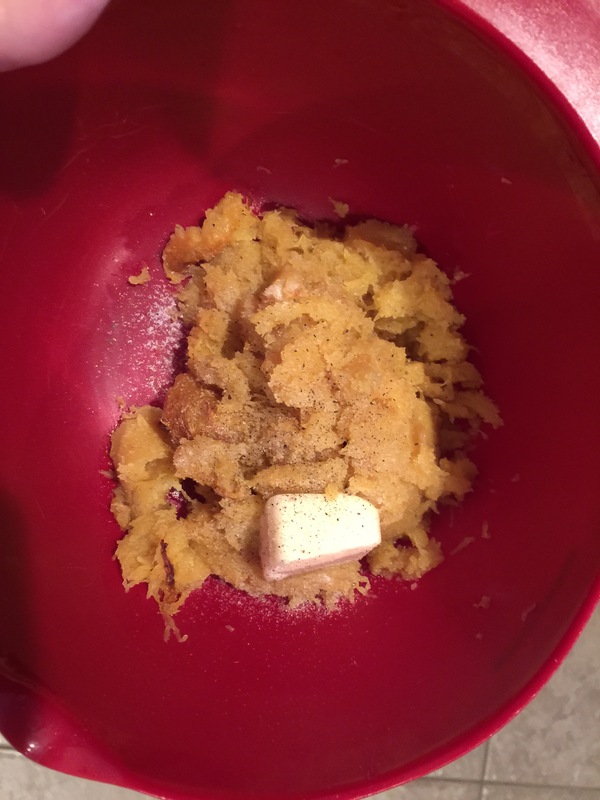 Mix together and serve just like mashed potatoes! Soooo good!